SunPark Ballasts. Complete line of Sunpark ballasts are avaialble. 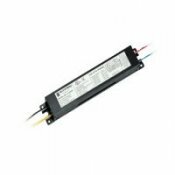 Fluorescent T5 - 120-277 volt (8, 13, 14, 24, 28, 39, 54 watt), T8, T12 - Instant Start, Rapid Start, Hi Power Factor, and Metal Halide Electronic Ballasts (35, 70 100, 150 watt). Mounting - most of the Sunpark ballasts can be mounted (wires from ballast to sockets) up to 6 (six) feet from lamp/bulb. email item number and quanity. Naturallighting.com is a factory direct distributor for all Sunpark Electronics products, ballasts, etc. If a Sunpark product is not listed, call or email product code number and quanity. We offer retail and wholesale pricing for all products.